Advertisements play a very important role in the success of every business. It is estimated that Advertising expenditure for the Calendar Year 2018 would be approximately 0.45% of the Indian GDP. With the introduction of Service Tax on all services (other than those covered under negative list) w.e.f July 1, 2012, service tax was applicable on all the aspects of advertising services except the sale of space or time for advertisement in some instances. Accordingly, the sale of time slots in between programs which are being telecasted on television, the sale of space on hoardings, and such were not liable to tax. However, w.e.f October 1, 2014, the negative list was amended to restrict the non-taxability to the sale of space in print media and all the other sale of space/time arrangements were brought under the net of service tax. GST is applicable to all modes of advertising including the sale of space in print media. While this leads to an increase in cash outflow, the free flow of credits on the procurement side leads to an overall reduction in the value of advertising. In these transactions, there are two parties involved – the advertiser and the publisher. Publisher – Who publishes these advertisements. The advertisement can be published in various digital mediums like Websites, E-mails or SMS. Advertisement on digital media is liable to GST at the rate of 18%. The advertisement, in this case, is published in print media like Newspapers. The advertiser approaches the advertising agency for advertising its business. The advertising agency buys the advertisement from the advertising company in its name and then resells the same to the advertiser. A business, instead of approaching the advertiser, can contact the agent for advertising its business. The advertising agency buys the space on behalf of the advertiser but charges commission for the same. In such a case, GST would be levied at 5% for advertisement in print media or 18% for advertisement in digital media. The advertising agency would levy GST at the rate of 18% on the commission charges. As per Section 5(3) of the IGST Act, 2017 reverse charge mechanism is applicable on notified goods and services. This also applies to any supply of service by any person who is located in a non-taxable territory to any person located in a taxable territory, other than the non-taxable online recipient. If Mr A procures advertisement service from M/s. 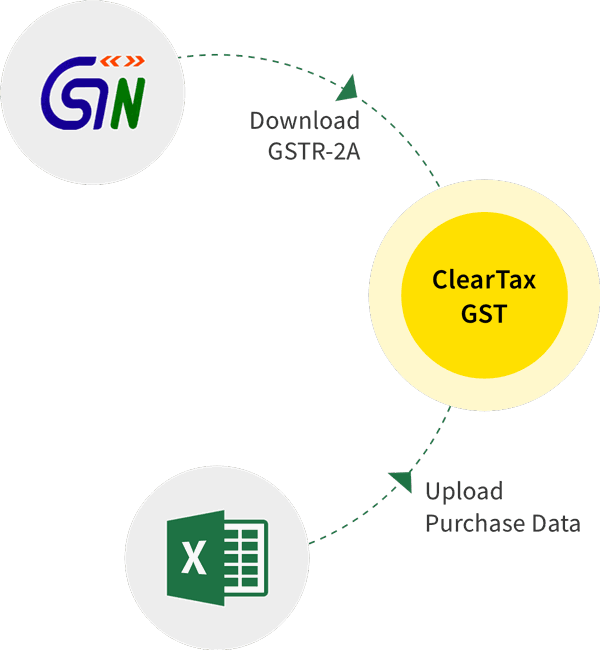 HIJ, a person located in non-taxable territory, then Mr A would be required to discharge the GST liability to the Government as a recipient of service. Advertising Companies invested a lot of money on the purchase of equipment and high-end electronic goods which were required for their businesses, but they were not entitled to claim the credit of the same. Under GST, they would be entitled to claim the credit of taxes paid on such equipment. Advertising Companies are required to carry out the advertisement shoots at remote locations where they do not have a place of business. Eg. An Advertisement Agency registered in Maharashtra decides to shoot a commercial in the State of Jammu and Kashmir. They would incur substantial cost towards accommodation of the entire crew for which the hotel would charge CGST + Jammu GST and the advertising agency will not be able to avail credit of the same since they are registered in Maharashtra (credit available only of IGST and CGST + Home State GST).